On my constant quest to declutter I managed to come up with even more items to part with. After I finished switching Tim's side of the closet to velvet hangers I found a ton more clothes I could part with. The majority of them aren't in perfect condition so I will be donating them instead of selling them on Poshmark. Most are random free t-shirts I received or other items I never wear and they have just been hanging out in my closet. Others are well-loved items that I simply don't wear because they are getting old looking. I managed to find quite a few things in there and I'm sure there are more which is crazy since I go through my clothes so frequently. Remember this? 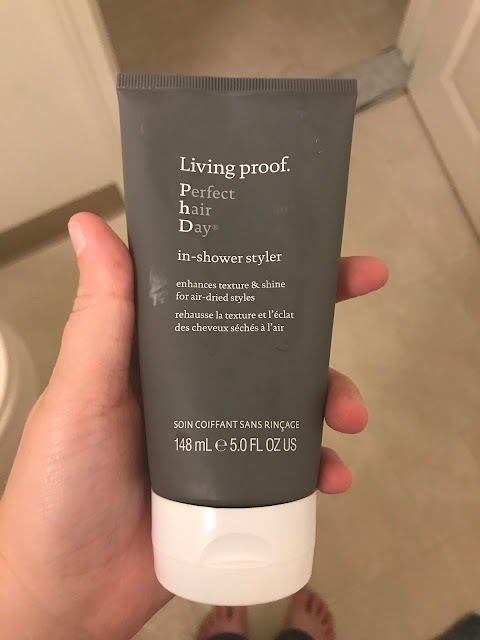 I passed this off to my best friend Rachel this week because it just didn't work for my hair. Since it was a fairly pricey product I didn't want it go to waste in my hair product collection and I thought Rachel might want to try it. It makes me feel so much better passing items off to people who can use them. If you are interested in checking out my Poshmark you can check out the other items I'm getting rid of and selling. Let's all get decluttering before you start bringing in all new stuff for Christmas! Life Lately: Christmas Week Celebrations! Velvet Hangers For The Win!